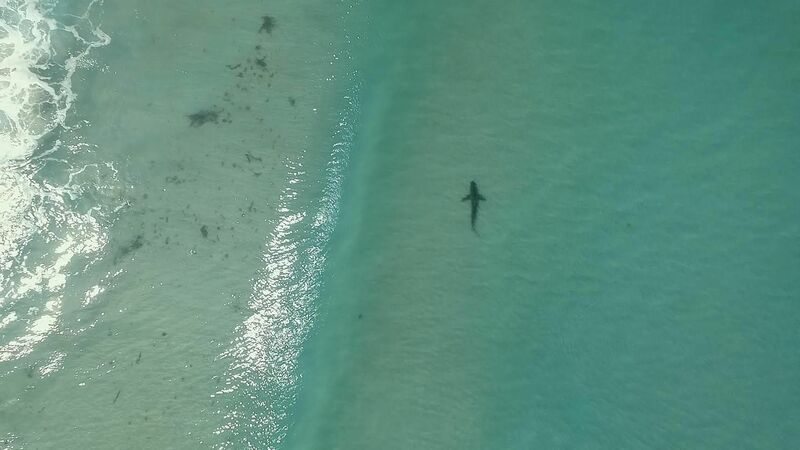 With more attacks occurring than ever before and recent deaths in WA and Reunion Island, the debate around the best way to deter sharks from making contact with ocean users is more relevant than ever. The discussion remains fiercely contentious, with nothing highlighting the volatility on both sides better than the debate which raged on Instagram after Kelly Slater suggested a ‘serious’ shark cull on Reunion island following the death of Alexandre Naussance. Having played host to eight deaths since 2011, which amounts to 18% of the world’s fatal shark encounters, the small island has become a focal point for discussions around attack prevention. In an attempt to combat the problem on the Island, the government banned surfing and swimming along much of its coastline in 2013. However the ban was ignored by many of the island’s surfers. In the same year, it was announced the government were also culling 90 sharks; 45 Bull and 45 Tiger. Two years later the islands first anti-shark nets we unveiled at two of its most popular beaches, yet these caused controversy of their own after they failed to prevent an attack in 2016, after a shark got through a hole and bit a swimmer’s leg. The nets have also drawn criticism from conservationists for the threat they pose to other marine life. The installation of nets caused a similar furore in New South Wales, after a government report revealed that over the course of a year they had trapped 615 other marine animals, including 90 threatened or protected species, versus only 133 sharks. Conservationists around the world are also vehemently against culling arguing that decreased fish stocks have already seen shark numbers falling rapidly worldwide, with fears their further depletion could have devastating effects on the whole marine ecosystem. Further to this, the evidence on whether shark culling actually reduces shark attacks is inconclusive. Between 1959 and 1976 Hawaii implemented a culling program, killing over 4500 sharks around the islands, but the amount of attacks did not fall. Other studies support these findings, showing that culling only creates a vacuum in the area for other sharks to migrate in to. However, a case study from Queensland, where culling using bated drum lines has been in use since 1962, shows entirely different results; there has only been one attack at a controlled beach since the drum lines were first deployed, compared with 27 fatal attacks in the 42 years previous. 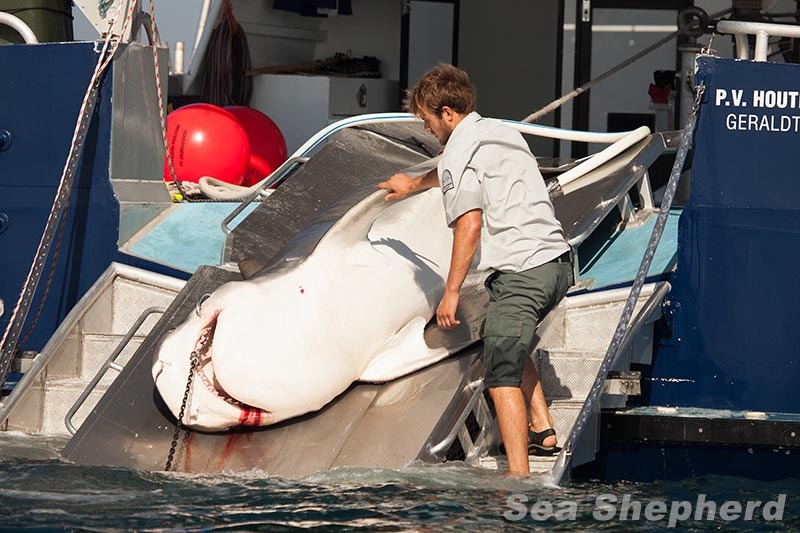 A shark caught by a drum line is hauled aboard a culling vessel in WA. Photo: Sea Shepherd. Many of the arguments around culling do not centre on actual outcomes, but instead the philosophical question of whether we should be killing animals, in their natural environment, to make the sea safer for humans at leisure. It also seems as though the conclusions from studies that purport to be objective are also muddied by the bias of those commissioning or conducting them. One thing is for sure though; even if culling is the solution, it’s not a popular one and all over the world the public are demanding alternatives. Elsewhere other less heavy handed techniques have been trialled. 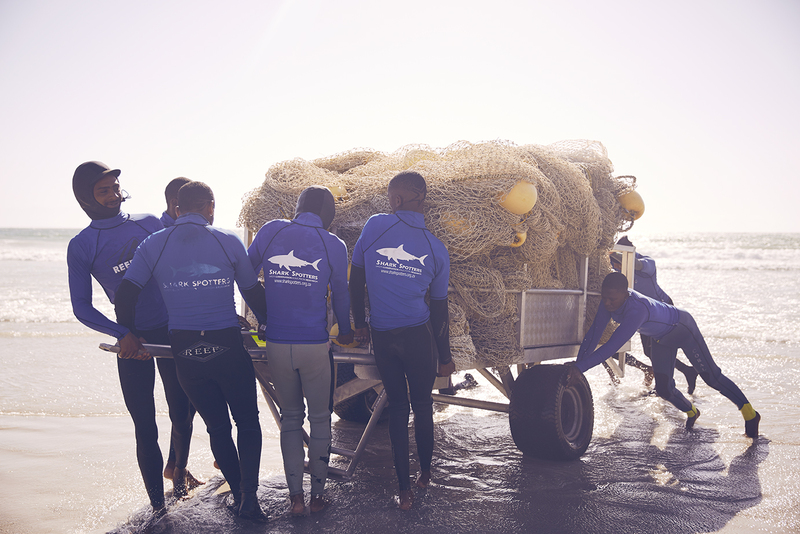 In Cape Town, South Africa, a non-profit organisation called Shark Spotters have become the leading form of attack prevention in the region. By posting spotters up on the mountains above eight of Cape Towns most popular beaches they have been able to prevent thousands of water users from coming into contact with sharks, without causing any harm to the creatures. The group has also developed an eco-friendly, non-lethal shark exclusion barrier, which is designed for minimal ecological impact and is rolled out and reeled back at the beginning and end of each day. Since the scheme began 12 years ago, there have only been two shark attacks on monitored beaches, with one occurring during very poor spotting conditions, and the other suffered by a swimmer who ignored the warning siren. The organisation is now working on new and innovative ways to aid their spotting, including teaming up with local drone operators, which are sent up as an extra pair of eyes in the sky. Strategies involving high tech drones and blimps are currently also being trialled in NSW and WA and results have so far proved positive. For many, new technologies such as this offer the best chance at solving the problem, without killing sharks or damaging the local ecology, with everything from shark repellent leashes to sonar buoys currently being trialled. In the last few years, the consumer market has also been flooded with wearable technologies, many of which are still in their infancy, meaning success in is no way guaranteed. There is the famous story of the teenager from Miami who was attacked wearing a shark repellent band, just a few days after receiving it as a Christmas gift. Reports also emerged during an inquest which revealed the same technology had been eaten by a shark during the testing period. However shark shields, which are apparently the only technology said to have undergone proper scientific scrutiny, are being heavily invested in in WA. The devices emit an electrical field which causes discomfort to the sharks highly sensitive receptors, creating a repellent barrier around the wearer. The government of WA is offering surfers and divers $200 off the purchase of a shark shield, which amounts to a third of the devices cost. However opponents of the idea claim the cost will make the technology unobtainable for most water users. While the jury remains out on many of the strategies currently being trialled, as the amount of ocean users around the world increases, the race is on for governments and organisations to find the solutions – and ones that not only lead to less attacks – but also take into account the contentious philosophical and ethical arguments that permeate the debate around how we can coexist with one of the worlds oldest predators.